For the elderly or hard of hearing, standard mobile phones can be difficult to use and not loud enough to help you maintain a conversation, making it harder for you to stay in touch with friends and family. 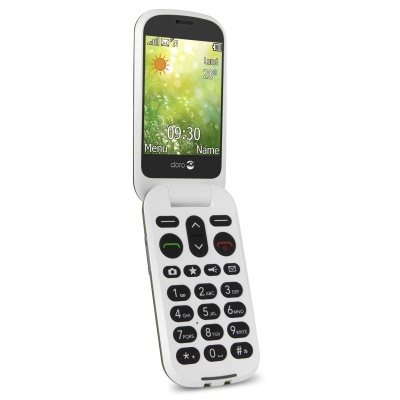 The Doro 6050 Mobile Phone for the Hard of Hearing uses a classic flip-phone design to maximise ease of use. With a loud receiver volume and an easy-to-use camera, it's ideal for elderly or hard of hearing individuals looking to stay connected. The Doro 6050 features a loud 35dB receiver volume, making phone conversations easier for the hard of hearing. Additionally, tone control helps you adjust the call sound to best match your hearing needs. Additionally, the phone features large high contrast keys that make recognition and pressing easier. To aid use even further, the buttons are widely spaced apart, making each individual key easier to hit correctly.